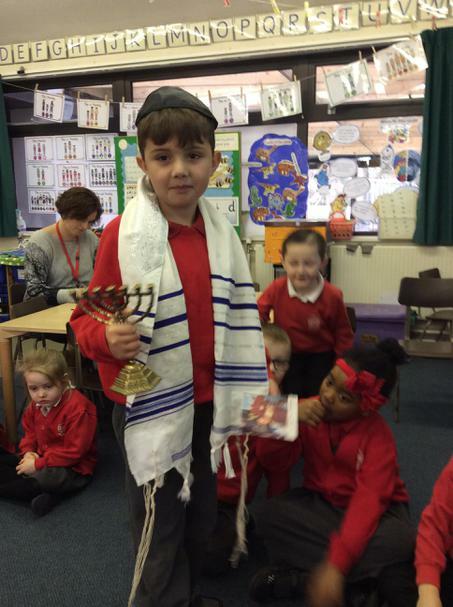 In R.E the children in Year 1 children have been learning about the Jewish holiday called Hanukkah. 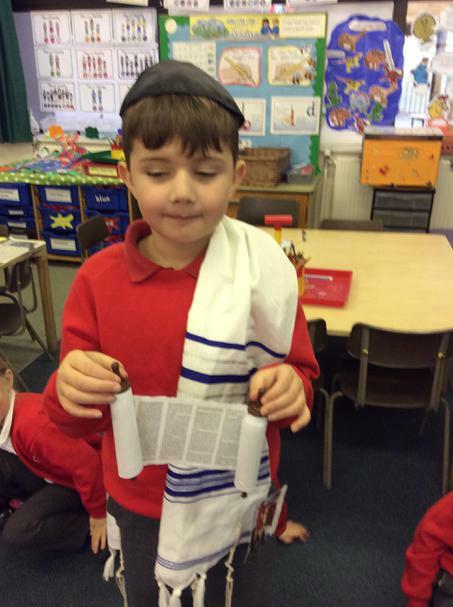 The children learnt that Hanukkah is celebrated by lighting the Menorah and by eating special Hanukkah food. The children have read different books, labeled diagrams of a menorah and drawn several different Hanukkah artifacts. Learning about the Hanukkah also enables the children to identify the differences between the Jewish Faith and the Christianity Faith and how they both celebrate holiday seasons differently. Exploring all the Jewish Hanukkah artifacts including the Menorah.